Soon after IAF pilot Abhinandan Varthaman returned to India, Indians have been celebrating the Wing Commander’s courage and bravery. Ever since, Twitter has been flooded with images of newborns being named as ‘Abhinandan.’ However, while some Twitteratis were quick to copy paste the posts on Twitter, others were equally quick in pointing out the plagiarism. Prime Minister Narendra Modi said the Sanskrit word ‘Abhinandan’ would now acquire a new meaning due to Abhinandan’s bravery. He said that the IAF pilot’s name earlier used to mean congratulations, but now his name will have a new meaning. 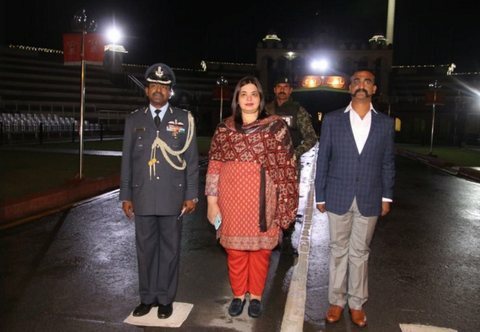 Abhinandan, who was held captive in Pakistan for almost three days, returned to India on Friday after his jet crash-landed in PoK. My brother gave birth to a baby boy today,we have decided to keep his name Abhinandan. Our Josh is still high.